Melanie West and her grandmother, Liza Harris, have been working day and night to open up a B&B on the Oregon coast. 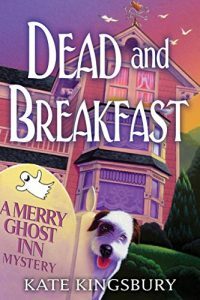 But it becomes clear that this particular Inn already has some permanent residents; there’s a ghost inside and a skeleton in the closet. The women have been trying to get the large, haunted house ready for their grand opening. While working one day, taking the old wallpaper down, they find a hidden room complete with a long-dead occupant. The local law, Officer Ben Carter, listens to their frustrations when it comes to getting the business up and running, but now that a body has been found they must halt work until the case that they stumbled onto can be investigated. Problem is, the law doesn’t seem to be in any hurry seeing as the skeleton in the closet isn’t going anywhere. Therefore, the women decide to help themselves by doing a little investigating on their own. The skeleton turns out to be Angela Morelli, the previous owner who was known to have vanished with a lover, leaving her disabled husband to find her. After Angela’s husband died, his son was chomping at the bit to sell as quickly as he could. Enter: Melanie and Grandma opening up “The Merry Ghost Inn” and trying to spruce it up as much as the police will allow. Meeting with the wealthy Sullivan family who had the business before the Morelli’s, along with several men who might just have been Angela’s lover, Melanie and Grandma try to turn over every stone. But when another woman who looks like Melanie is killed, the two women kick start their investigation into high gear. From the characters all the way to the cool name of the Inn, this book has it all. A mystery you will not unravel, this is one of those rare cozies that do justice and pride to that awesome Murder She Wrote type of perfection. 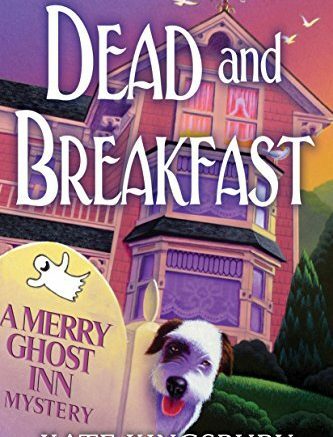 Be the first to comment on "“Dead & Breakfast” by Kate Kingsbury"